Until yesterday I didn't know the difference between beef jerky and biltong, but it seems it's all in the vinegar. And as I didn't use any, that makes this beef jerky. 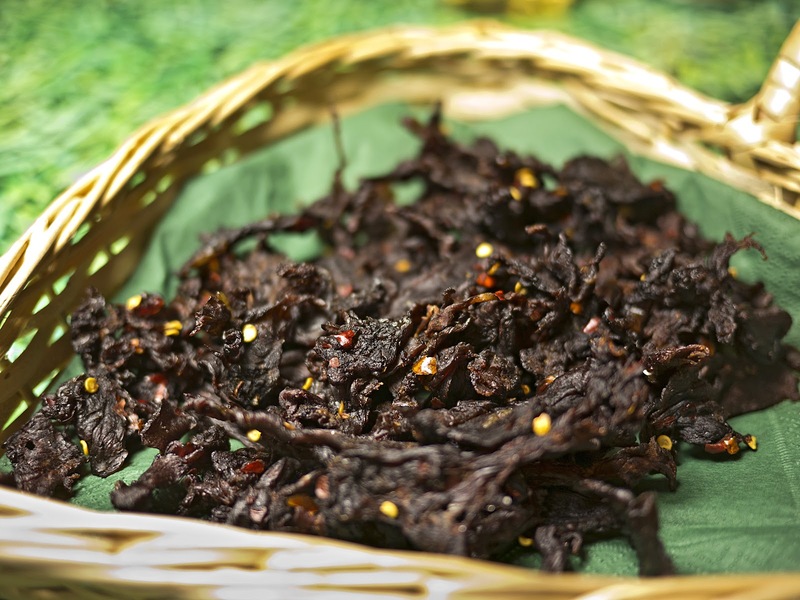 Making your own jerky in a dehydrator makes it syn free unlike the bought variety. 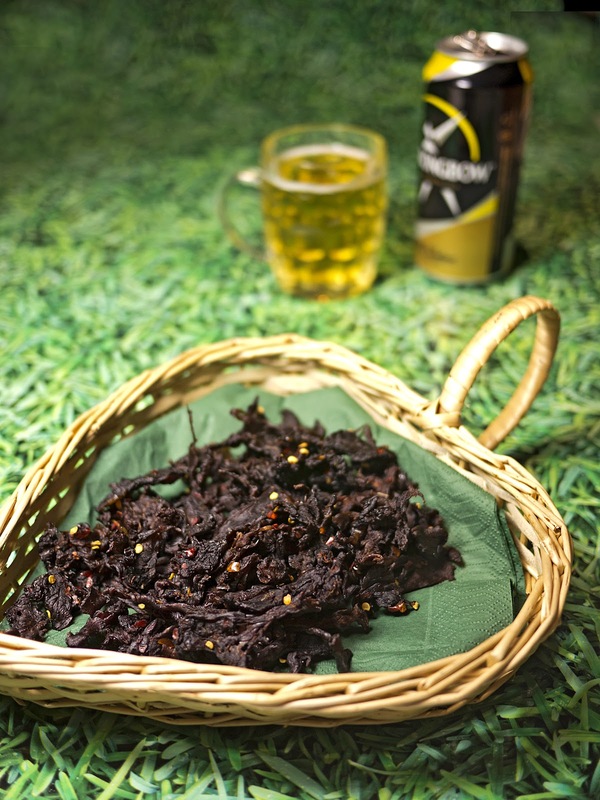 You also know exactly what went in it – no preservatives or artificial flavourings. You can of course use other flavourings, such as paprika, herbs, coriander etc. Put the steak in the freezer for at least an hour to firm up. Using a mandolin on its finest setting, cut the beef in very thin slivers. Use the other ingredients to marinate the meat for at least an hour. Place on one or more trays in the dehydrator and 'cook' for several hours at 50°C. Mine took nearly eight hours, but it will all depend on how thin and wet your meat is. It should be fairly stiff and quite chewy.